When you go see the ​Hatfield & McCoy Dinner Feud​, you will become a part of the longest running feud in history! Watch as the Hatfield and McCoy families try to settle their differences mountain-style. The show features jaw-dropping stunts, knee-slapping comedy, singing and dancing, and more. You will even have the chance to watch diving dogs and hillbillies! The theater installed a swimming hole that&apos;s 22 feet deep and has more than 200,000 gallons of saltwater. The diving dogs and hillbillies do all sorts of exciting tricks in the water! Make sure you bring your appetite when you come to this show because the theater serves a full Southern homestyle feast of fried chicken, mashed potatoes, buttery corn on the cob, homemade bread and so much more. Don&apos;t forget to save room for Granny&apos;s famous specialty dessert! 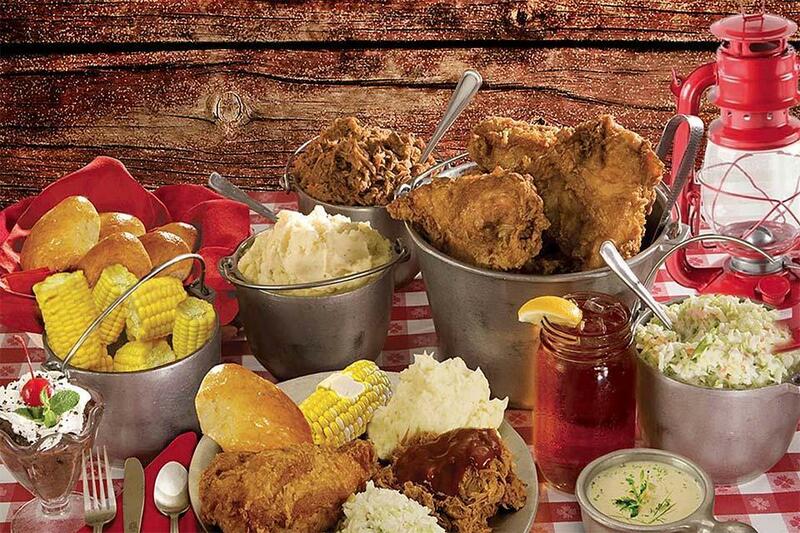 Dolly Parton&apos;s Stampede​ is one of the most popular dinner shows in the Smoky Mountains! The thrilling show features horse riding stunts, special effects, musical productions and more. You will even get to celebrate as the North and South join together in a patriotic salute of red, white and blue. The best part is the Grand Finale, during which doves of peace soar through the air and fireworks light up the stage. For dinner, enjoy a mouth-watering four-course feast that will satisfy all your country cravings. The menu features a whole rotisserie chicken, hickory smoked barbecue pork loin, creamy vegetable soup, a homemade biscuit and more. Visit ​The Grand Majestic Dinner Theater​ for a show that pays tribute to some of the world&apos;s top vocal artists. The Soul of Motown includes live harmonies, grooving dance moves and inspiring talent. You will hear songs from a variety of artists, such as The Drifters, Smokey Robinson, the Jackson 5 and Gladys Knight. Before every show, the theater offers an all-you-can-eat buffet full of all your favorites. The buffet includes chicken tenders, meatloaf, mashed potatoes, mac and cheese, fried okra, a dinner roll and more. You will end the night full and happy after the Soul of Motown show! These dinner shows will provide a night of entertainment for you during your vacation! Browse more ​shows in the Smoky Mountains​ and decide what you want to see when you visit.